UK's techno legend brings the nukes to the belly of the whale. Luke Slater has been active since the late '80s under various monikers like Planetary Assault Systems, The 7th Plain, Clementine and L.B. Dub Corp. As Luke Slater he has released four albums, the last one beling "Alright On Top" from 2002. Ostgut-Ton's sub-label, A-TON, has released Slaters ambient work from the '90s for its premiere in 2016. Recently he added LSD, a collaboration with Function (who viisted Drugstore earlier this year) and Steve Bicknell to the list of collaborations. Drugstore is honored to host Slater for the first time. 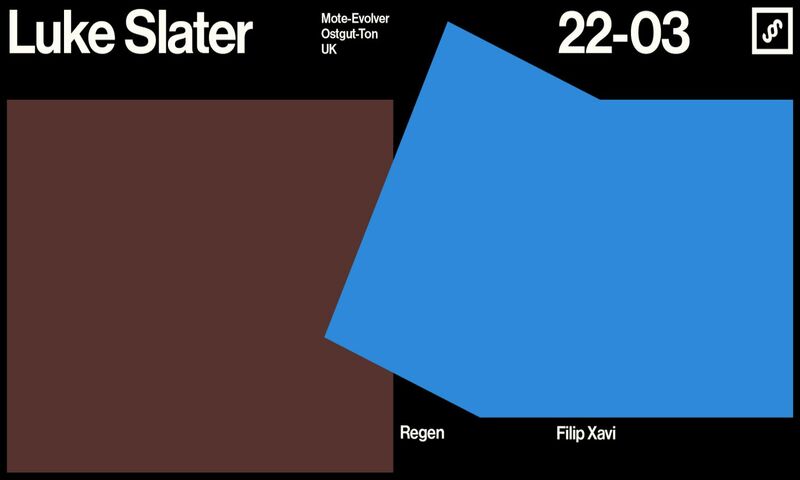 Local support by Ilian Tape's Regen and Drugstore resident DJ, Filip Xavi.